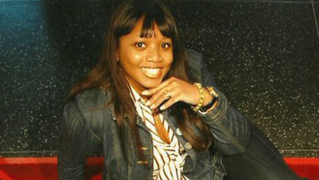 A Deadly U-Turn: Did Miriam Carey Need to Die After Wrong Car Move at White House Checkpoint? | Democracy Now! A Deadly U-Turn: Did Miriam Carey Need to Die After Wrong Car Move at White House Checkpoint? sister of Miriam Carey, an unarmed African-American mother killed in Washington, D.C., on October 3, 2013, by U.S. Capitol Police and Secret Service. She is a former New York police sergeant. civil rights lawyer and retired New York City police officer who is representing the family of Miriam Carey in their wrongful death claim. Click here to watch Part 2 of this discussion. Web ExclusiveMar 17, 2015Part 2: Did Miriam Carey Need to Die After Wrong Car Move at White House Checkpoint? AARON MATÉ: New details have emerged about two Secret Service agents accused of drunk driving into a White House security barricade. The Washington Post reports the agents allegedly drove through an active investigation, directly next to a suspicious package, which had been placed on the ground by a woman who claimed it was a bomb. While officers at the scene wanted to arrest the agents and administer sobriety tests, a superior ordered their release, without the tests. The Secret Service’s new director, Joseph Clancy, appointed last month after a scandal over a White House security breach, said he learned of the incident five days later. The agents have been identified as Mark Connolly, the second-in-command on Obama’s security detail, and George Ogilvie, a top supervisor in the Washington field office who issued a statement last year touting the agency’s zero-tolerance policy for [drinking]. AMY GOODMAN: Well, we’re going to turn now to another Secret Service incident that raises disturbing questions. On October 3rd, 2013, an unarmed African-American mother named Miriam Carey drove to Washington, D.C., from Connecticut with her infant daughter in the back seat. A U-turn at a checkpoint, followed by a car chase, led to Secret Service agents and Capitol Police firing 26 bullets at her car, eventually killing her. While the shooting deaths of Trayvon Martin and Michael Brown have sparked nationwide protests against police brutality, Carey’s case remains shrouded in a fog of misinformation. Initial reports claimed she, quote, “rammed” White House and Capitol “barriers,” that she tried to breach two security perimeters. Those reports have since been proven false. We welcome you all to Democracy Now! David, let’s begin with you in Washington, D.C. Describe that day, the day that, if we all sort of remember back, we probably have heard about. It was an amazing moment that ended with—what was it? A standing ovation in the floor of the House of Representatives for the Secret Service? AMY GOODMAN: Well, wait, wait. Just on that point, he put up a fence after she drove there to keep her in? Was he in uniform? DAVID MONTGOMERY: He was not in uniform. He was off duty, and he was carrying a cooler that you can—with we don’t know what was inside—that you can see in pictures. AMY GOODMAN: You mean like a beer cooler? DAVID MONTGOMERY: Well, or a lunch cooler. We don’t know what it was. DAVID MONTGOMERY: We don’t know what was inside it. AMY GOODMAN: So a man—all she saw, with her baby in the back seat, is she has come into this area, and a man has put up a fence against her, and he’s carrying a cooler. AMY GOODMAN: So she pushes through that, and that’s the first ramming of a barrier that we heard about that day? DAVID MONTGOMERY: She actually, according to one witness, first tried to steer around it. And then, apparently, the man, the off-duty officer, repositioned it in front of her. And then she does ram it. And you can see him tumble off the side of her car. And, yes, that’s something that wasn’t clear immediately, and I think it may be not clear even today to some people. The only barrier she rammed that day was the one put up to keep her from leaving this space. AARON MATÉ: And so, what happens next? DAVID MONTGOMERY: Well, that then begins this seven-minute pursuit. She drives straight down Pennsylvania Avenue. If you’re aware of the geography of Washington, that’s a straight shot to the Capitol. You can see the Capitol from there. And it’s unclear how fast she was going. The investigation later said that she covered the distance in four minutes. Well, I calculated that it’s a 1.3-mile route, and if she did it in four minutes, her average speed was about 20 miles an hour. The police said that she was traveling up to 80 miles an hour. Average speed—she could have gone very fast and very slow at some points, but that’s sort of one of the things that we don’t know. Was this a high-speed chase or what? And she gets to the Capitol Reflecting Pool. If you recall, in front of the Capitol lawn, there’s that giant reflecting pool, and there’s a circle. And that’s where several Secret Service vehicles catch up with her and hem her in. And this is the—this is the video that we—perhaps the most sensational video, that we all have seen. The reason we’ve seen it is because a media cameraman for the Alhurra network was on the lawn shooting video. The authorities have released no video from this entire episode. And that’s where you can see her hemmed in by cars, and officers, Secret Service officers, are out and pointing their pistols at her. And you can hear them yelling, “Get out of the car!” And she backs her car into one of the vehicles, seemingly, perhaps—we don’t know, but it gave her some room to then maneuver out of the situation. The camera turns away, but the soundtrack is still going, and you can hear several shots. We know later that the eight shots were fired by two Secret Service agents and one Capitol Police officer sort of as she was leaving. And that’s sort of the second point of encounter in this seven—tragic seven minutes. And then she continues another, I think, 0.7 miles to the west side of the Capitol. And that is where there’s—she’s actually trying to leave Capitol Hill, and there’s another—there’s a pop-up barrier all around—all around the Capitol, there are security barriers that can pop up out of the pavement. And she’s sort of trying to pass the Capitol, pass the Supreme Court, and we don’t know where she was going, but there’s a barrier there. So she makes a U-turn and comes back. She’s actually driving in reverse at this point. And she drives right at, I believe, a Capitol Police officer, who has to jump out of her way. That’s the second time that her car appears to go straight at an officer. Back at that first encounter, you can see on that videotape an officer scrambling out of the way as she tries to evade them. That happens again up on Capitol Hill. And then two officers—one Secret Service and one Capitol Police—each fire nine rounds into the car, and she is struck five times. It’s seven minutes since she’s left the White House. She’s unconscious, and she’s pronounced dead a half an hour later. Her baby, Erica, is physically unharmed. And we don’t know what Erica senses—sensed or remembered from that. AMY GOODMAN: And the House of Representatives? DAVID MONTGOMERY: And the House of Representatives, well, that’s the other—how’s the public reacting? If you follow Twitter feeds, there are pictures—it was dramatic and, I think, scary for tourists. Tourists are hitting the deck on the West Lawn. You can see agents with large guns, and so there was a sense of fear and mystery of what’s going on, shots fired. It’s starting to get out on television. And Congress breathes a big sigh of relief. The immediate reaction was that this was a threat averted. And I don’t know the exact time that that standing ovation happened. It was perhaps an hour or two or three later, to thank the officers for protecting the Capitol. AMY GOODMAN: Well, Miriam Carey, Valarie—Miriam Carey is the young woman who was killed, with her baby in the back seat, by Secret Service. Valarie Carey is with us, one of her sisters. How did you hear what happened to your sister? And did you even know your sister had driven to Washington? VALARIE CAREY: I had no idea that my sister had driven to Washington that day. And how I initially found out that my sister may have been in Washington—and the reason why I say “may have been,” because we actually—and “we,” that’s the family of Miriam, the Carey family—we did not receive any police notification of my sister’s death. So, my phone, my cellphone, started to ring about 5:20 p.m. from numerous undisclosed numbers. And I actually answered one of those numbers that came from a Connecticut area code, because I thought it was my sister Miriam, but it happened to be a reporter. And the other calls were from reporters, as well, and they left numerous messages and text messages for me to call them in regards to my sister. AMY GOODMAN: Your sister was a dental hygienist? VALARIE CAREY: Yes, she was. AMY GOODMAN: Working in two different dentists’ offices? AMY GOODMAN: Can you tell us, Eric Sanders, what you’re doing about this now? You, yourself, are a retired cop, and now you’re a civil rights attorney. ERIC SANDERS: Right. Well, as—course, as Valarie, as well, she’s also a retired sergeant from the NYPD. The only thing we can do right now is try to get open disclosure. You know, there’s some people that believe that we’re trying the case through the media. We’re not doing that. What we want is transparency. We believe in full disclosure, just like Eric Holder said in the other case in Ferguson and President Obama said in the Eric Garner case and all these other cases. We want full disclosure. We’re not afraid of the facts. We can see, based upon our training, it’s inconsistent what they’re saying. It looks like they violated her civil rights. This looked like the police officers gone mad. And we want answers. We want justice more than anything else. Right now, we filed a federal tort claim, and the next step is we need to file a lawsuit. But more important than that, we’re not motivated by money; we’re motivated by the justice. AARON MATÉ: The use of force here, the use of—the shooting of so many bullets at her by these two officers, can you talk about that? ERIC SANDERS: Well, that’s one factor. The question is, when the police stop you, when they try to stop you, that’s a seizure within the context of the Fourth Amendment. They have to have a basis for it. Just because a police officer wants to stop you, they have no legal basis. If you look at Maryland just recently, Chief Dine just told his officers that—they chased a vehicle, the U.S. Capitol Police, over by the Capitol, and he says, “What do you have? You have nothing. OK, cut him loose.” This is a recent chase that happened over there. You have to have a legal basis to fire your weapon, to use force against people, to stop people. Some people—and there’s a misconception that somehow Washington is a special place. The Constitution applies the same in Washington, D.C., as it does in New York, as well. And the amount of rounds and the fact that they even fired rounds at her, any ammunition at her, in the first place, is inconsistent with their training. That’s our position. AMY GOODMAN: As Eric Sanders just said, you are a retired police sergeant, as well? VALARIE CAREY: Yes, I am. Yes. AMY GOODMAN: So, your thought on how the police and Secret Service dealt with this? VALARIE CAREY: Well, I felt that—I believe they didn’t follow protocol. I don’t believe that firing at a moving car, a moving vehicle, is justifiable. My sister was unarmed. And I don’t believe that deadly physical force was necessary. AARON MATÉ: There was a first anniversary event marking the first year since your sister was killed. How did your family pay tribute to your sister? VALARIE CAREY: We traveled to Washington, D.C., to actually follow her final steps of her life. And we did a butterfly release in her honor. AMY GOODMAN: Can you tell us, in this last few seconds, about what you believe her mental state may have been at the time? VALARIE CAREY: I cannot speak as to what her mental state was. I can say that I believe my sister was in fear for her life. She was in fear for her daughter’s life, my 13-year-old [sic] niece, who was in the back seat of her vehicle. VALARIE CAREY: I’m sorry, 13-month-old niece, who was in the back seat of the vehicle, which I’m more than certain that the officers were able to see that there was a child in the car. And they didn’t have any regard for my sister or my niece, as they shot five times to my sister’s back. AMY GOODMAN: We’re going to leave it there, but continue this discussion and post it online. Valarie Carey, as well as David Montgomery and Eric Sanders, thanks so much for being with us. Part 2: Did Miriam Carey Need to Die After Wrong Car Move at White House Checkpoint?